Pretoria – The removal of Finance Minister Pravin Gordhan has opened a new chapter in the relationship between National Treasury and the South African Revenue Service (SARS). 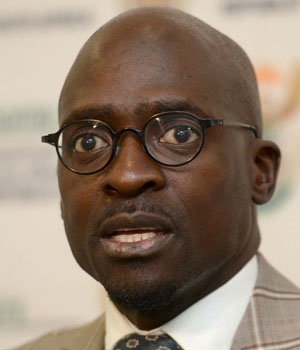 New Finance Minister Malusi Gigaba explained at a press briefing on the tax agency's preliminary revenue collection results on Monday that he has entered his new post without any preconceived ideas about Moyane or anyone else at SARS. “I look forward to working with (SARS commissioner Tom) Moyane and SARS officals going forward,” he said in his address. Gigaba continued to highlight the tax authority's importance, saying it is "an asset of great value” that should be cherished and protected. Moyane is a staunch ally of President Jacob Zuma and allegedly refused to obey instructions in 2016 given by Gordhan regarding the tax entity, especially regarding restructuring plans that Gordhan wanted suspended and reviewed. Moyane was also responsible for instigating the Hawks investigation into the so-called "rogue unit", which saw Gordhan constantly hounded by probing investigators during his second tenure as Finance minister. The working relationship was broken and Gordhan was reported to have asked Zuma to fire Moyane early in 2016, but it soon became clear that this would not happen. Moyane refuted allegations in 2016 that Zuma's late wife, Kate Mantsho, was his relative. He said speculation that he was a blood relative of Mantsho's was feeding into the "narrative that Zuma gave me a job because he married my sister". Zuma was forced to appoint Gordhan minister in December 2015 after the Nenegate debacle and clashed with Gordhan constantly over state-owned entity reform, the nuclear procurement deal and the closure of the Guptas' bank accounts. He eventually recalled Gordhan last Thursday, following months of speculation that he intended to do so, but with the right narrative to ensure he didn't have to reverse his decision once again. Speaking on his relationship with Moyane, Gigaba said: “I don’t come here with preconceived ideas. I have not been given a hand-out on who to look out for.” He explained his mandate is to lead Treasury and the agencies under it, to manage the country’s resources and the people who work there. He added that he will “maintain a professional relationship” with Moyane. Gigaba met with Moyane on Sunday night and also had a two-hour meeting on Monday morning, ahead of the SARS results announcement. Moyane in turn said that he has a “good relationship” based on professionalism. He added his behaviour towards Gigaba will be according to a code of conduct attributable to his position. This contrasts with Moyane’s relationship with Gordhan. Moyane said Gordhan would not acknowledge him at meetings, and even reached out to President Jacob Zuma to intervene in their relationship. The former finance minister previously told journalists that Moyane’s behaviour was defensive, and no intervention by Zuma was necessary. Of his relationship with Gordhan, Moyane said that it was no longer an issue to be addressed now that it was off the table.